The Super GT series will hold its first-ever night race when it returns to Malaysia’s Sepang International Circuit in 2020. The circuit has agreed a deal to host the night race, using the former Formula 1 venue’s newly installed floodlights, and will host a Super GT round for the first time in seven years. 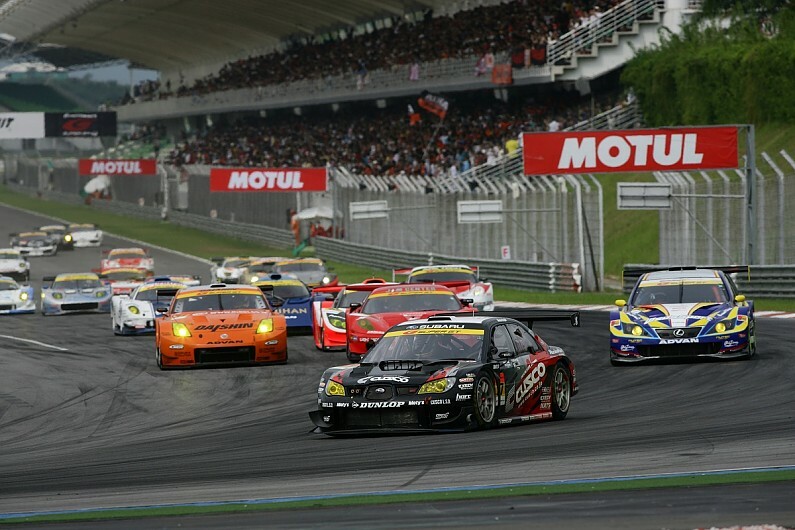 Sepang was previously a regular fixture of Japan’s premier racing series (pictured below), having first hosted a non-championship event in 2000 – when Super GT was known as the All-Japan GT Championship. It joined the calendar in 2002 and dropped off the schedule in ’13 when the newly-constructed Buriram track in Thailand took its place. Sepang finalised its agreement with Super GT ahead of this weekend’s Motegi season finale. Fahrizal Hasan, Managing Partner of the Haro Sports & Entertainment Group that will promote the event, said both qualifying and the race would take place at 8pm local time, with an exact race distance still to be determined. A precise date for the race weekend has also yet to be agreed. It is possible the Sepang night race could co-exist with a Buriram round on the Super GT schedule, but the Thai venue’s contract expires at the end of 2019. Masaaki Bandoh, Chairman of the GTA organisation that runs Super GT, indicated that talks are ongoing about the future of the Buriram fixture. Bandoh also said that owing to the 2020 Olympic Games in Tokyo, the August Fuji race will not take place that year and that the Toyota-owned track will only play host to one race during the traditional Golden Week holiday in May.